The bestest thing god ever made was love. WHOM AM I KIDDING? He made peanut butter! *Slurp! * Oh and milkmaid! Okay, so I just spent the last two hours gorging on scoops of peanut butter :D And no, not an ounce of guilt. Its my guilt pleasure. Okay, now that the introduction with no connection with the post has been made, I shall triumphantly move on the review. 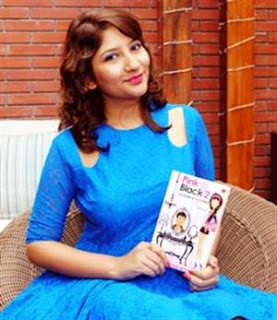 Pink and Black 2 is the brain child of Tishaa Khosla, who has previously penned down the first book of the series, Pink and Black. Tiana’s school year has just started and looks bleak already. Her boyfriend is concerned they ‘don’t connect anymore’, her best friends are being super nasty, her lunch group has been taken over by newcomers, and the final nail in the coffin: a blast from the past, whom she believed she had left behind forever, has moved to Hill View High. Will anything go right for Tiana as she juggles friends old and new, tries to stay in her teachers’ good books, and, most importantly, attempts to keep all the boys at bay while she figures out her own feelings? 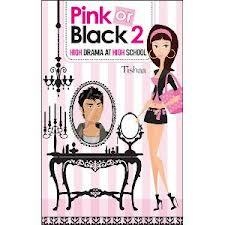 Find out in this funny yet moving sequel to the bestselling Pink or Black, as Tishaa brings alive all the high drama at high school with wit and understanding. The cover of the book had gotten me so curious from the day I received it! Having read Princess Diaries and Cecelia Ahern novels for the sheer cuteness of the cover, this book had kept me intrigued for so long! I finally caught up with it last night and here I am penning it typing it down. Tiana is a posh school high school-er. The story starts with her and her friends, Bella, Leila, Karam and others starting a new school year with the bitter past year. They all stay in a residential school and are your regular typical teenagers. Excuse the generalization, but I couldn't help but compare the similarity of the story with Gossip Girl. Best friends' showdown, other friends having to take sides, ultra cool parents. I certainly would say Gossip Girl is many times mature and grown up and this book is mild and goes easy. So yea, all through the year, Tiana struggles with problems with her bestie, gets ignored and is forced to sit with a table of people whom she has never found pleasing. Her behavior towards anybody isn't her own, its all due to her friends or some misunderstanding. Tiana is the goody two shoes that everybody adores according to their own wants and hates when she does anything that goes against them. She undergoes a breakup, deals with psychotic (not really) cousin and weirder boys. Being the one that is always right, she ends up in a drama for no fault of her own and gets the worst punishment in school. The friends are all the same, except for one Karam. I will be honest, its a great book for teenagers and ones that like light reading. Its a breezy book and gets over soon. The plot is predictable at some places, not so at others. Would I recommend the book? Well yea, if you a teenager and like reading such books. If you are into profound novels and deeper plots and thicker thoughts, then you might not really find it fun. 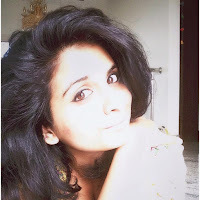 She and her sappy serials on V! Keep it up.. Best wishes..